We conduct research on current and future-oriented issues of continuing education to improve adult learning and education. We assist continuing educators with a wide range of projects and support their professionalization. We provide research-based services for continuing education staff. In Germany, 530,000 teachers and trainers in adult and continuing education contribute greatly to the quality and success of continuing education programmes. But how are their skills actually recognized? 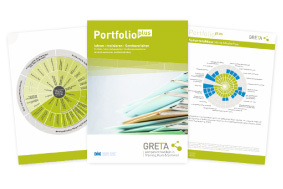 In order to generally recognize and validate competences, GRETA offers instruments and concepts for teachers and trainers in adult and continuing education. Every day, continuing education planners and trainers are confronted with the challenge of providing good opportunities and promising conditions for learning. 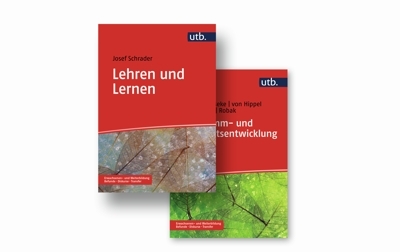 In twelve volumes, the new book series "Erwachsenen- und Weiterbildung. Befunde - Diskurse - Transfer" (Adult and Continuing Education. Findings - Discourses - Transfer) collects conceptual, empirical and theoretical basic knowledge for working in adult education and edits it didactically for university and private studies. The DIE presents highlights, data and facts in the DIE Annual Report 2017. You can find excerpts in English in our "Short Annual Report 2017". The English Annual Report and the Financial Report are available only online. Enjoy reading our reports. Since September 2018, the DIE library presents itself in a new attire. After its reconstruction, the library has developed into a modern research library. Working and research options were improved and enhanced. The library team is looking forward to assisting you with your research in our newly designed rooms.